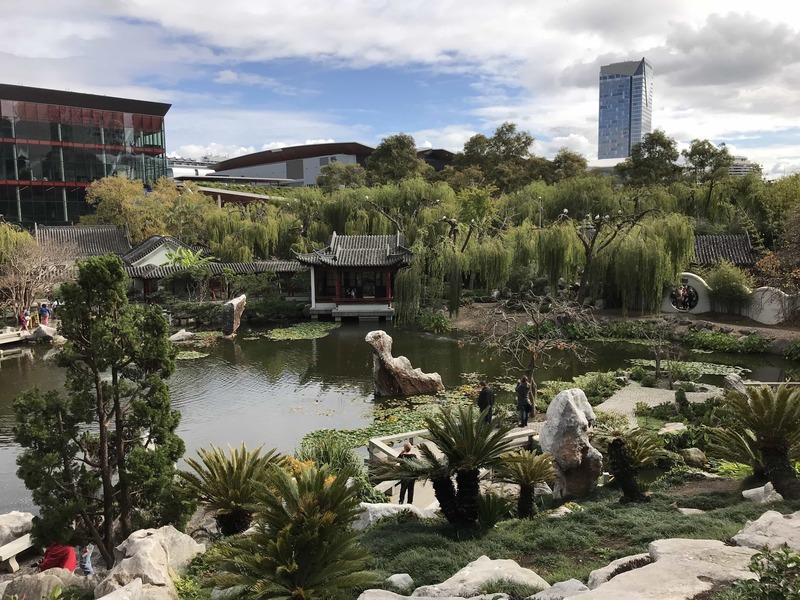 The Chinese Garden of Friendship has been in Darling Harbour for over 30 years. 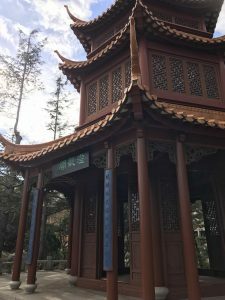 I hadn’t been to the Chinese Garden of Friendship in years so it was nice to check it out. 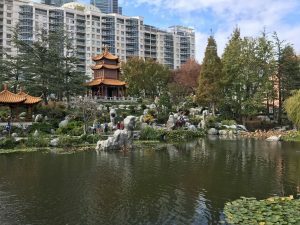 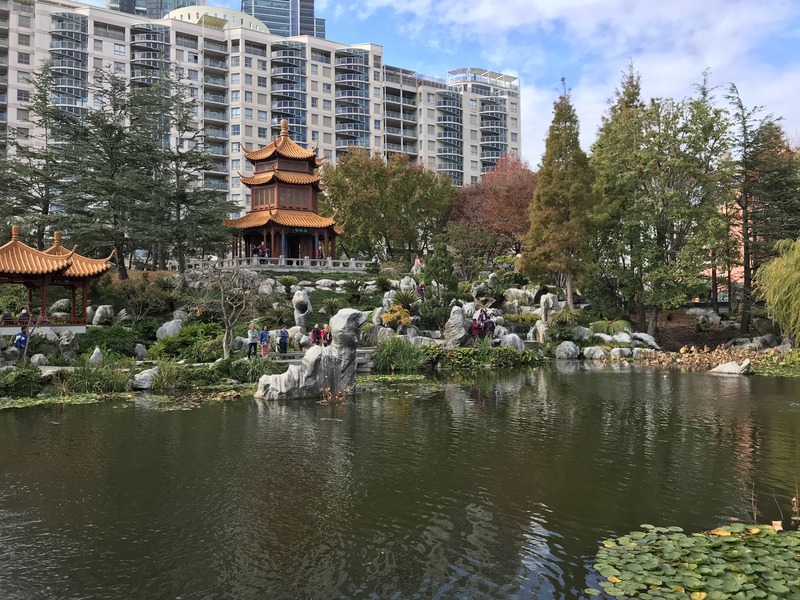 The Chinese Garden of Friendship was built to symbolise the friendship between Sydney, New South Wales and the city of Guangzhou in the province of Guangdong, China (sister cities of sister states), to mark Australia’s bicentenary in 1988. 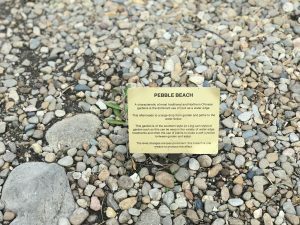 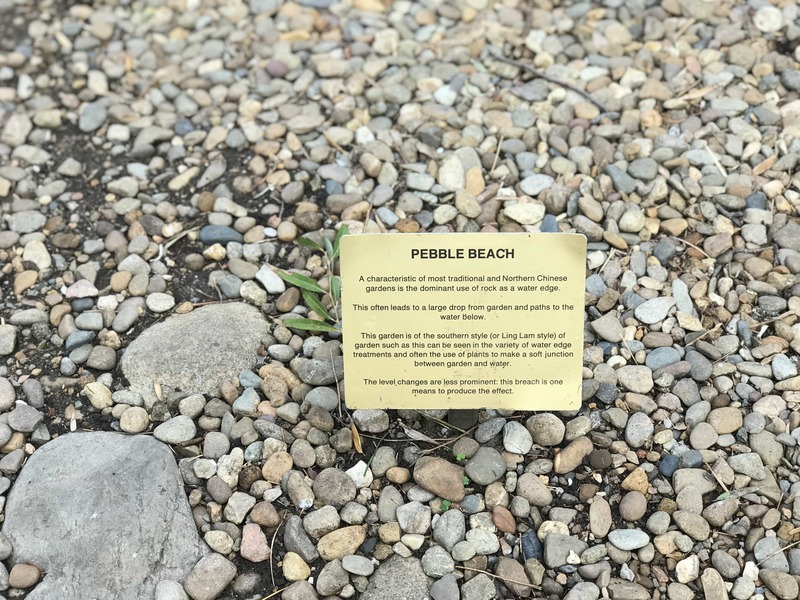 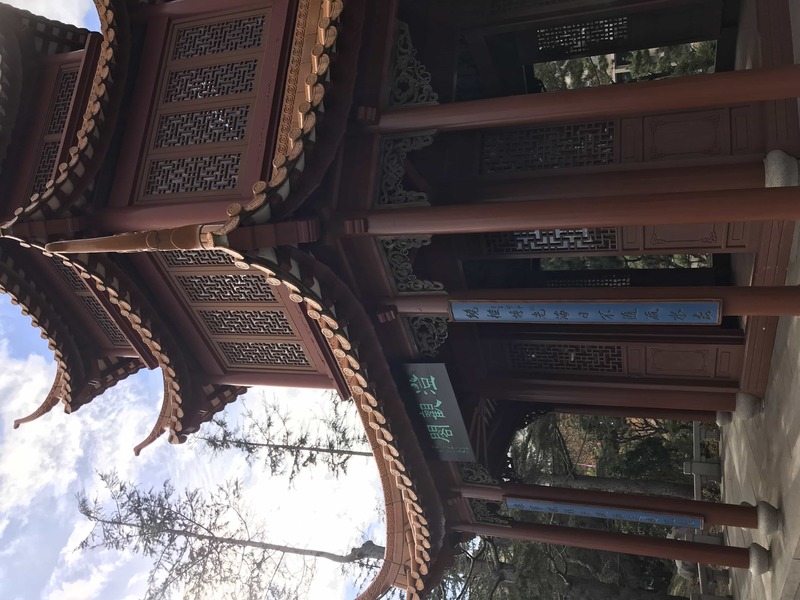 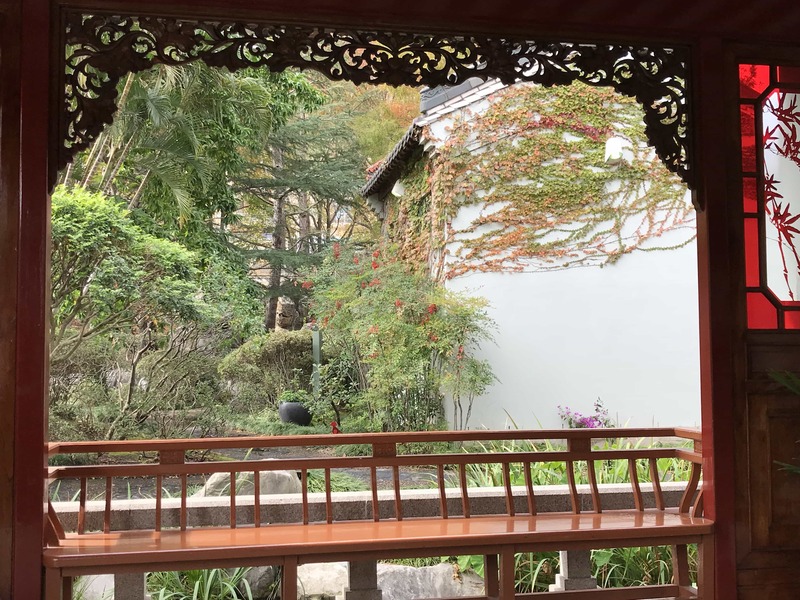 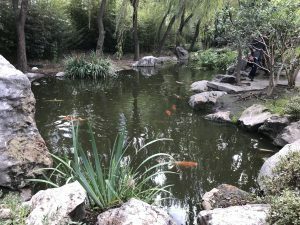 The garden is not large; however, they have included key features of Chinese Gardens with plaques to explain the different elements that make up a traditional Chinese Garden. 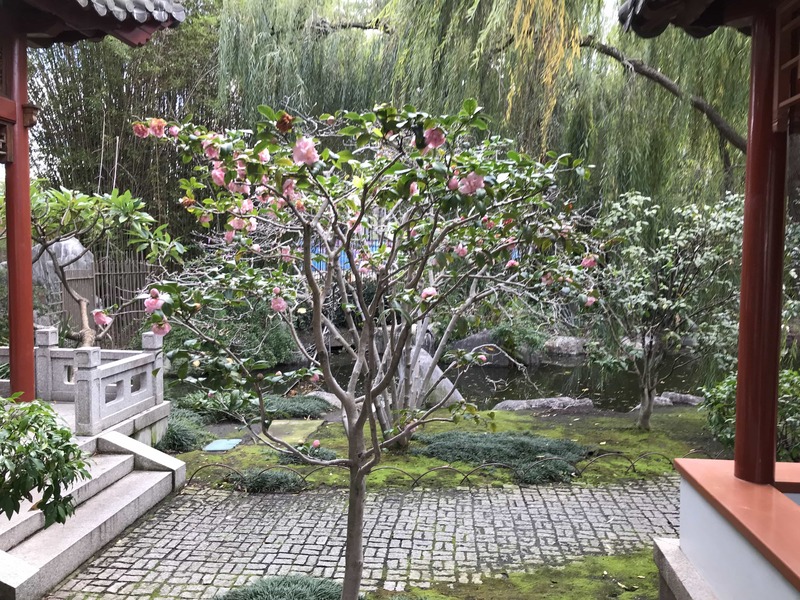 While we are not experts, we think they greatly succeeded in capturing many of the symbolic and grand elements of Chinese gardens. 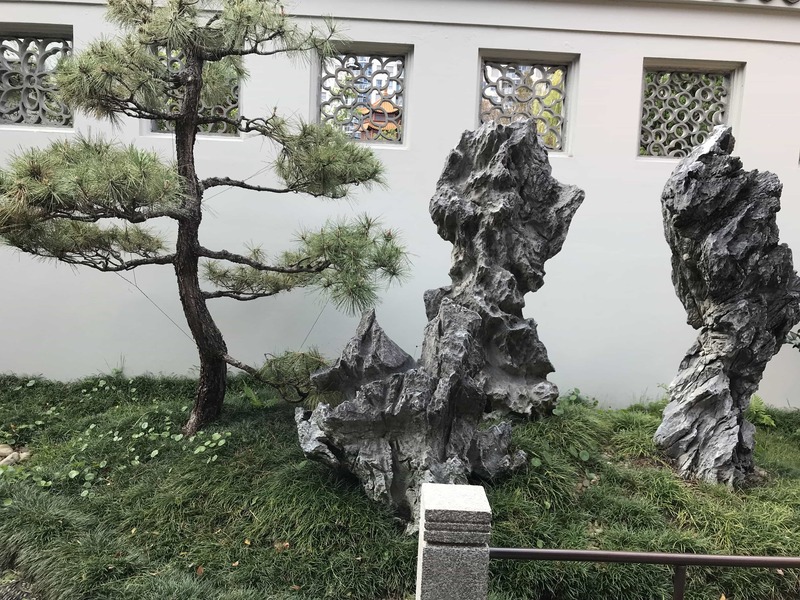 This includes beautiful waterfalls, arches, rocks evoking the spirit of mountains and elements of simplicity. 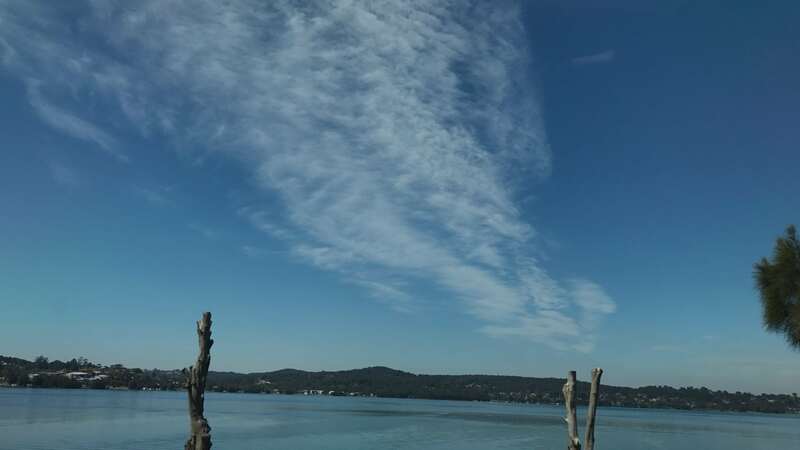 Wonderfully, there are vantage points for taking in some of the most spectacular views. 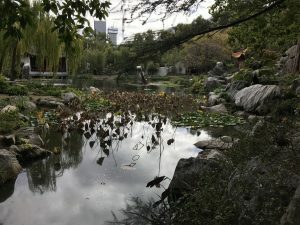 We saw a group of photography students at the gardens and thought the gardens would provide a great backdrop to learn the techniques involved in taking great photos. 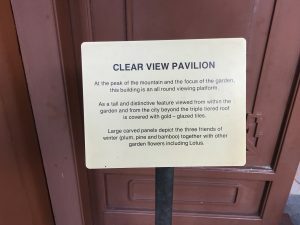 One of the highlights of the garden is the Clear View Pavilion at the highest part of the gardens. 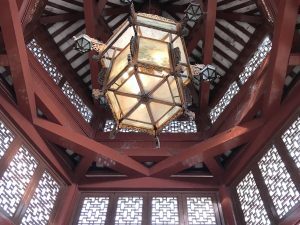 The pavilion itself is wonderful to explore but the view from the top is also fantastic. 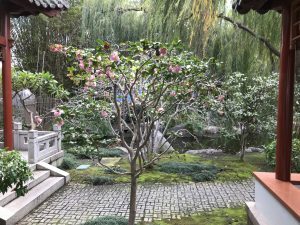 There was construction happening nearby which did ruin a bit of the atmosphere as the garden would otherwise be quite tranquil and peaceful. 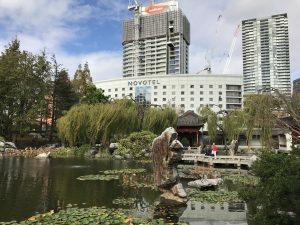 It is interesting seeing the contrast of commercial buildings and hotels with the garden. 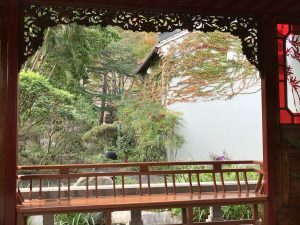 There are plenty of places around the gardens to stop and reflect and even sit down and read a book or meditate. 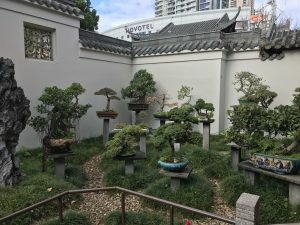 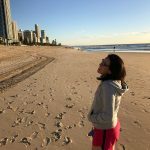 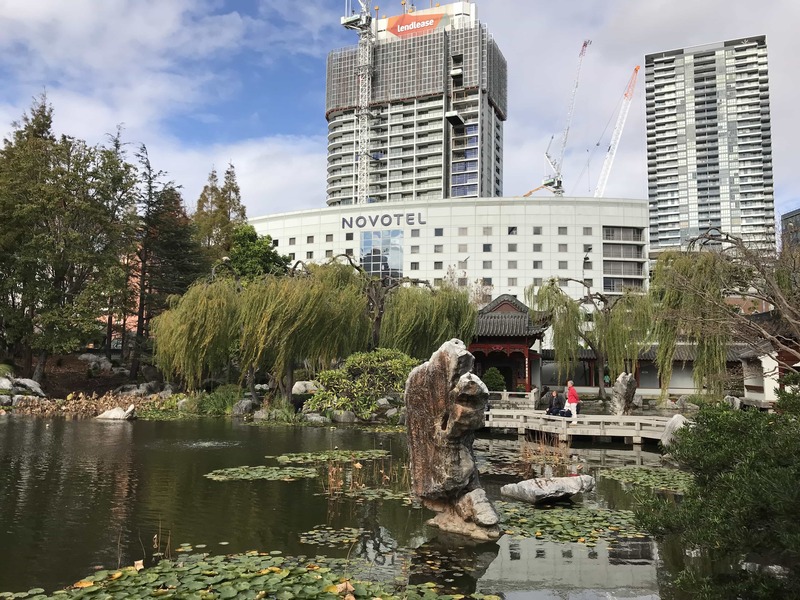 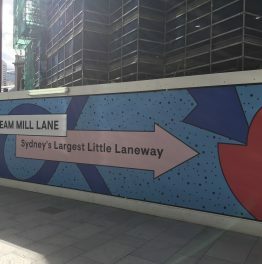 You can find the Chinese Garden of Friendship at Pier Street Darling Harbour, NSW, 2000.